We’re excited to announce our new partnership with SEQTA, a multi-award winning LMS, which services over 450 schools. 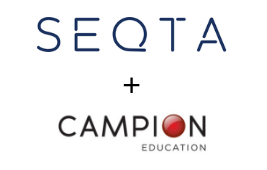 Campion MyConnect now fully integrates with SEQTA’s Teach product. It allows teachers to integrate digital textbooks directly into students’ lesson plans, within SEQTA. “Our partnership with Campion provides seamless connections to a wealth of digital resources for teachers and students, which creates more time to focus on their learning” he says. Carlo Matthyssen, Campion Education’s General Manager of Sales & eLearning agrees. “We’re focussed on helping schools integrate digital resources into their own learning systems,” he says.